Do you have bare spots in your yard or is your lawn just not as thick as it use to be? Overseeding your lawn is likely the best and most affordable solution to get the lawn you've been dreaming of. 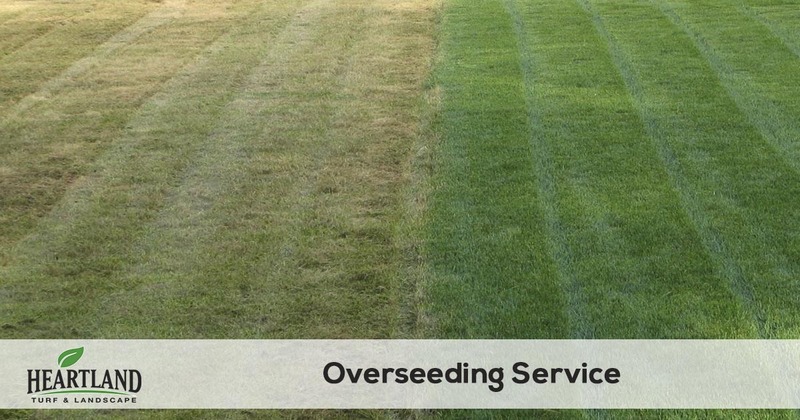 Overseeding your lawn has many benefits, the most significant being that a thick healthy lawn naturally reduces weeds creating less demand for weed control chemicals to be used on your property and generally reduces the amount of maintenance required to maintain a healthy lawn. The best maintenance practices can’t help a lawn that has developed a lot of thin and bare areas though. Lawn overseeding and renovation is hands down the BEST way to improve a lawn! Verticutting the lawn twice in alternating directions. This machine cuts shallow slices in the soil so the seed can fall below the surface. Just as you would plant any other seed, grass seed needs to be blow the surface to germinate. Aeration improves soil quality by loosening packed dirt, breaking up thatch, and allowing water and nutrients to reach the root system of your lawn. Your lawn is only as good as the soil its growing in, and this is a great way to maintain soil quality. We use hand tools to work seed into the soil along edges, corners, and other areas our machine cannot reach. This attention to detail makes a big difference in the final result. We use a 100% fescue blend seed that is resistant to heat, drought, and disease. For lawns with a lot of shade, we can use a seed blend that’s more shade tolerant. We apply a specially blended fertilizer designed to quickly establish new grass. It promotes root growth, lush green grass, and a beautiful lawn within weeks. Easy to follow watering instructions. After we’ve seeded your lawn, it’s critical to water properly. We’ll provide you with foolproof instructions on how the get the new seed growing fast and proper watering throughout the fall. The very most important step in an over-seeding program is proper watering after the lawn is verticut and seeded. Grass seed is very vulnerable to drought after it has begun to germinate. To ensure that you get the best results, please follow these tips and guidelines. When watering, keep in mind that sprinkler water output, daytime temperature, wind and other variants will alter your watering times and frequency. The following guidelines are “rule of thumb”, and you will need to keep an eye on the lawn to make sure that your lawn is receiving proper watering. The goal is to keep the top ½ inch of soil moist for at least two to three weeks. After then, watering may be cut back to once a day or every other day, again depending on weather and watering times. Set each zone to water for 7-10 minutes, three times a day at 9am, 2pm, and 6pm. This should get you started. Keep an eye on the lawn and test for moisture during the warmest times of day by feeling the ground. If you still feel a bit of moisture in the soil just before the next watering is scheduled, this is ideal. If not, increase watering. Many control units, especially Hunter brand, has a feature that will allow you to increase or decrease all zones by a percentage without having to change every zone. This feature is typically located at the upper left of the unit. Continue this watering schedule for two weeks. After the seed has germinated and developed a small root system, water can be reduced. Also, at this time, the weather is typically more rainy and cooler. While it is still important to maintain a moist top surface, watering can usually be cut back to once a day, possibly less. Continue to maintain a fairly moist lawn until your sprinkler is winterized, or early November. For spring seeding: continue to water more than normal during the summer during dry periods. The new grass still has shallow roots and is susceptible to heat and drought. If it dries out, it dies out! Are you ready to get your lawn renovation started so you can start enjoying a thick green beautiful lawn? 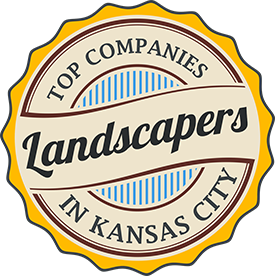 Then call Heartland Turf & Landscape at 913-238-9278 or fill out the get a quote form here. We have a no-hassle process to get you a quote and make it easy to sign up for service.